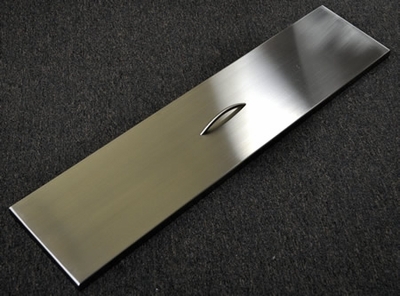 Stainless Steel Fire Pit Cover is designed specifically for our Linear Trough Fire Pits. Constructed of #304 20g material. They are lightweight and have handle for ease of lifting when taking off Fire Pit. Cover Measures: 40" x 9.5" x 1"